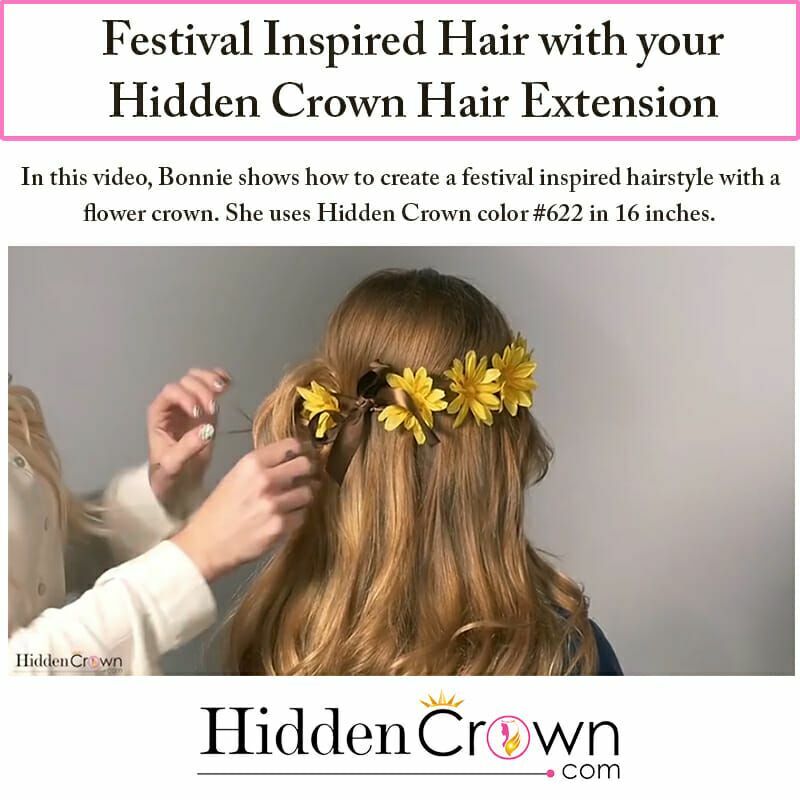 In this video, Bonnie shows how to create a festival inspired hairstyle with a flower crown. 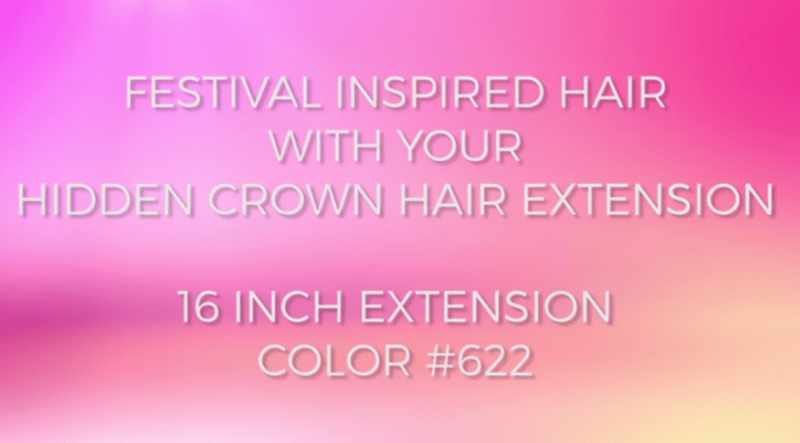 She uses Hidden Crown color #622 in 16 inches. Do you want to create the hottest hairstyles with the latest hair inspiration?! 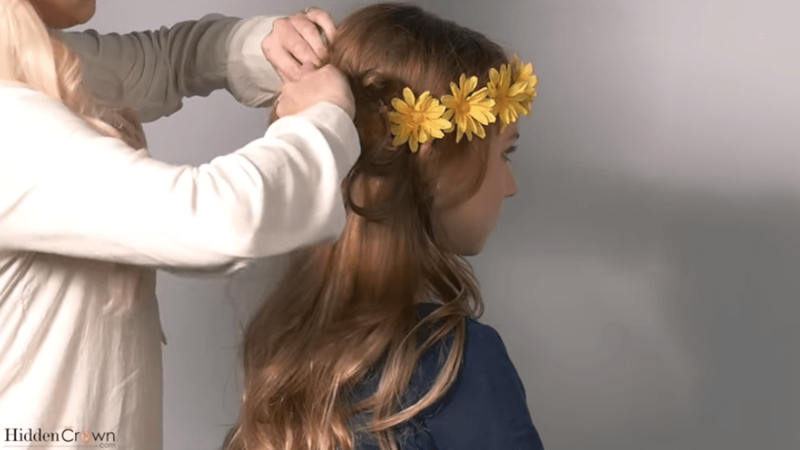 Bonnie demonstrates how to make this gorgeous bohemian inspired hairstyle with a flower crown in just minutes! Although, you can use any type of headband that will go around your head. Brielle is already wearing her Hidden Crown color #622 in 16 inches. Bonnie explains to put on the headband then to begin the hairstyling process. 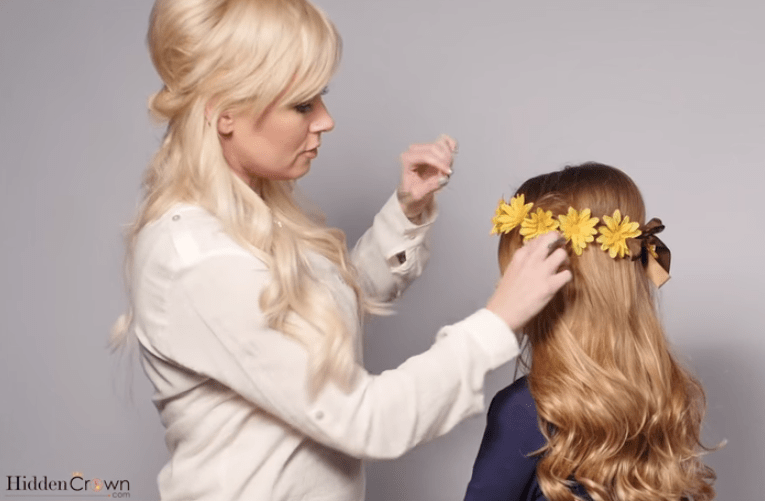 First, you can start on either side of the head (left or right), and take approximately 1/2 inch – 1 inch sections of hair and weave it up and through the headband (loosely). This is a messy look… so it is ok that it is not perfect! Bonnie also explains you can use this hairstyle with thin hair! All you need to do is grab pieces of the Hidden Crown and incorporate those sections when weaving through the flower crown headband. And the best part is your hair will still be thick with the Hidden Crown Hair Extension remaining below! Bonnie also mentioned, if you have thick hair you do not need to grab as much. So this beautiful festival inspired hair is versatile for all hair types! She also mentioned a few more tips! Bonnie explains that she used a little bit of hairspray to hold the hair, and uses a few bobby pins to add extra hold… but these are optional. To see this DIY hairstyle in minutes watch the video below!